Latin Name: Brassica oleracea L. var. botrytis L.
Broccoli is also called cauliflower. It is the mutation of brassica oleracea, which belongs to brassica, cruciferae. The edible part is the green tender flower stalk and bud. It contains lots of nourishment, such as protein, sugar, fat, vitamin and carotene etc. It is honored as the “crown of the vegetables”. 1. The extract made from broccoli sprouts may prevent skin cancer when applied directly to the skin. 2. Broccoli ( Broccoli extract) could promote lung health. 3. Sulforaphane is a long- lasting anti- oxidant and detoxifier, and to contribute to the integrity ofcells, promoting the body' s immune defense systems for overall health and well being. 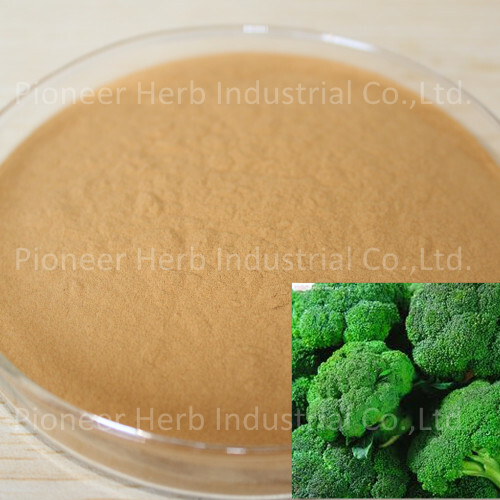 Plant Extract: 1 DNJ; Dendrobium nobile extract; Sulforaphane / L sulforaphane; Glucoraphanin/Sulforaphane glucosinolate; Broccoli Seed extract; Tannin/Witch Hazel/ Hamamelis Extract; Honeysuckle Flower Extract /Chlorogenic Acid; Rose Flavonoids; Pomegranate P. E./ Ellagic Acid; Green/Black Tea Extract(Tea Polyphenols/ theaflavin); EGCG; Resveratrol, etc.. 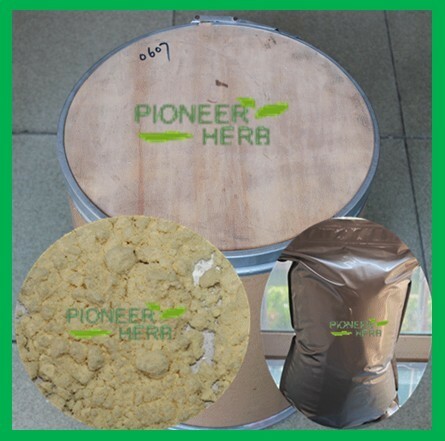 Tea products: Instant green tea powder, black tea powder, Oolong tea powder, Jasmine tea powder, etc. Essential Oils: Tea Tree oil; Eucalyptus oil; Ginger oil, Rose oil, Lavender oil, Jasmine oil, etc. Carrier Oils: Camellia Seed oil, Olive oil, Kiwifruit seed oil, Carrot seed oil, Jojoba Oil, Grape seed oil, etc.